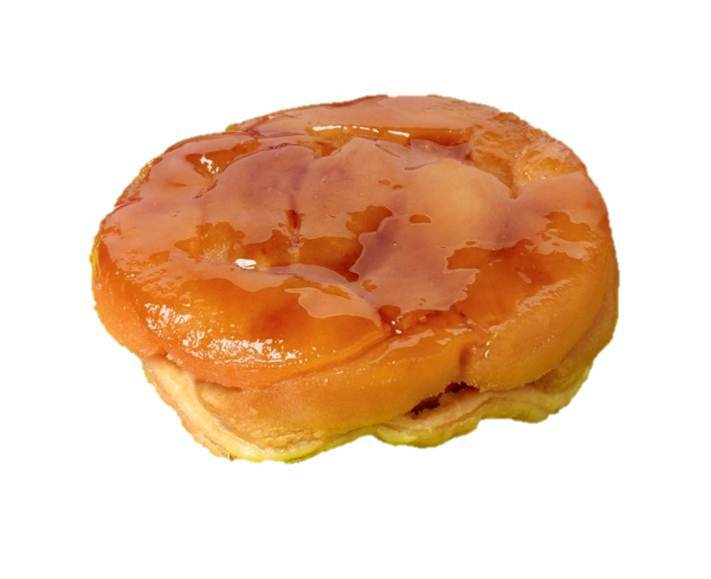 Two French sisters, Caroline and Stéphanie Tatin created tart tatin. They owned and ran the hotel called l’Hotel Tatin in 1888. The elder sister, Stéphanie, dealt with the kitchen. Her specialty was an apple tart, served perfectly crusty, caramelized and which melted in the mouth. One day during the hunting season, during the midday scramble, Stéphanie placed her tart in the oven the wrong way round. The pastry and apples were upside-down but, nevertheless, she served this strange dessert without giving it time to cool. While baking, the sugar and butter created a delicious caramel that becomes the topping when the tart is inverted onto a serving plate.